These selections are for folks who want flies that go the extra mile… lets put in some UV material in each tie, lets use $1 hooks cause they are sharper and better, lets not skimp on material for costs sake, lets tie them here in the US, lets use tiers who actually bonefish! 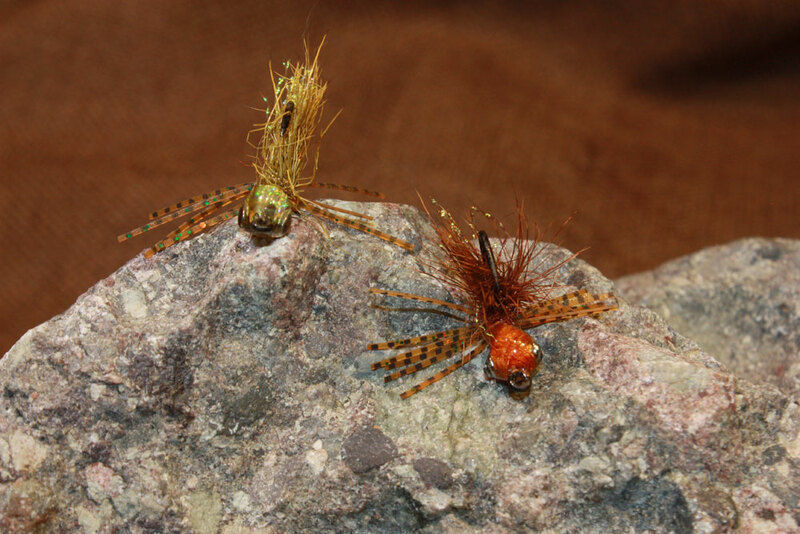 The idea is to create a high end line of flies that will work when and where you are going. If we haven’t been there (chances are good we have). We will get in touch with the local guides to get their take on the flies. Belize is pretty consistent from north to south but our selection will be slightly different for each destination. The selections will be much different than a selection for the Bahamas, Florida or Christmas Island. So let us know exactly where you are going and when you are going and we can tie up a selection just for your trip. Yes they are expensive but they are worth it. 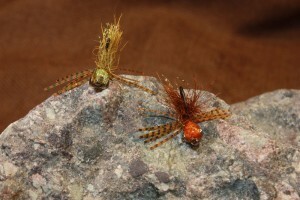 They are buggy, fishy flies that feature movement above all else with UV materials used whenever possible. Most fish see UV ( humans don’t) so it is only natural to imitate the true “colors” of their prey. Any special requests, just let us know in the form below. 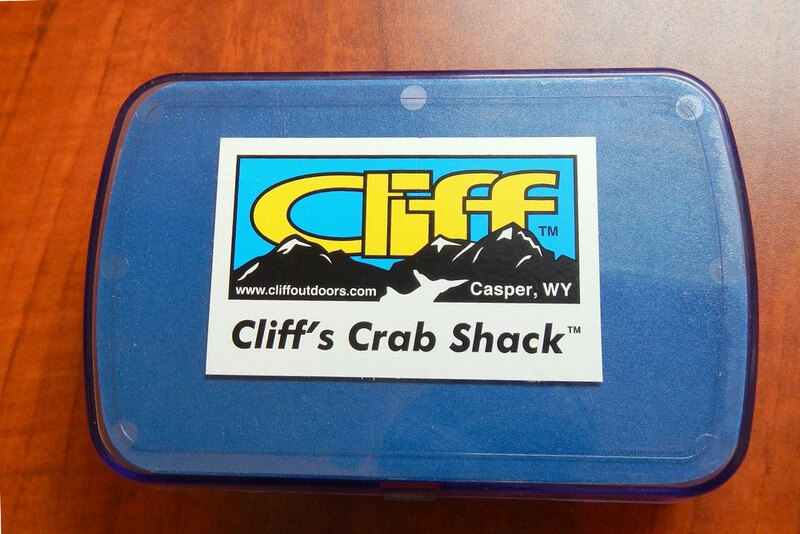 The Standard Selection includes 24 flies in a Cliff’s Crab Shack box for $100 (a $122 value), The Extended Selection has 36 flies in a Cliff’s Crab Shack box for $150 (a $172 value), and the Master Selection has 48 flies for $200 in a Cliff’s Bugger Barn Box (a $223 value). SKU: Belize Bonefish Selection. 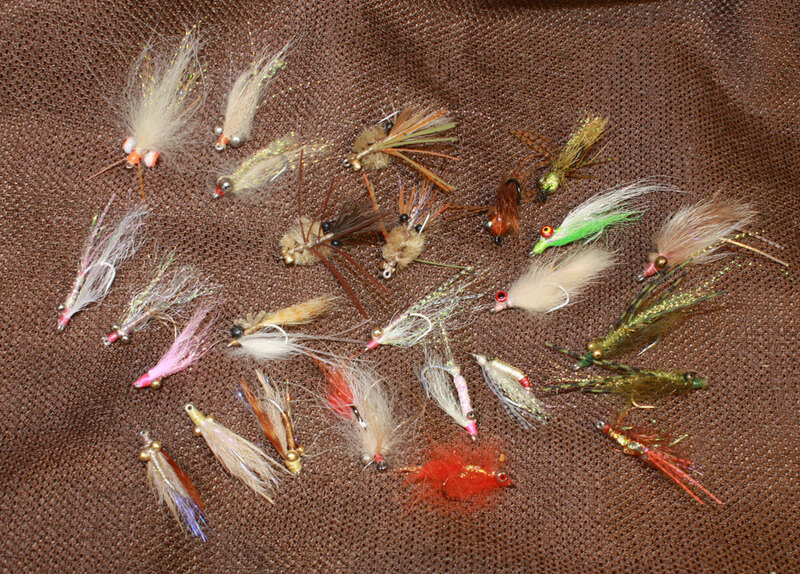 Category: Belize Fly Selections. Drabs is likely to get missed when you look in your box. But if you are looking over a darker bottom, this olive version may be the one fly you need. Its UV colors will help it stand out even as it blends in to you. 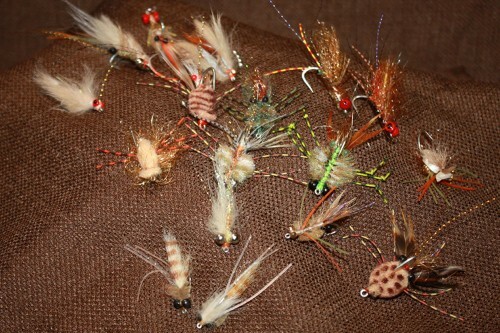 Pretty of a Crazy charlie ( isn’t every bonefish fly?) with some rubber legs thrown in. Comes in tan, Chartreuse, Olive, white, Sizes 6-8 with bead chain or lead eyes. The Fox-Fire is all about movement while standing still. No need to strip this one fast ( although it works just fine that way) this fly excels when the strip stops… the fibers just keep moving, pulsating like a small shrimp trying to filter in some algae for dinner. The only thing a bonefish can do at that point is to eat it! Better set the hook quickly cause they are gonna swallow this one. Comes in size 6 and 8 in both flame and tan versions. DD (Demented Dave) is nice full lively version of a Crazy Charlie. UV materials brings this fly into this millenium. Bonefish will respond to movement of water, movement of the fly and the movement of the fly when it is still and this fly does it all. The DD comes in many colors including Natural, Brown, Olive, Pink and Chartreuse in hook sizes in 6 or 8. This is a simple but effective fly that will be in every box we make for almost any Caribbean destination. The original Bonefish Bitters fly was introduced by Craig Matthews as “Pop’s Bonefish Bitters” named for the enthusiasm for his favorite guide “Pops” Cabral out at Turneffe Atoll. This version is not much different with a little longer tail, new materials and of course some UV fiber and the best of the best hooks. 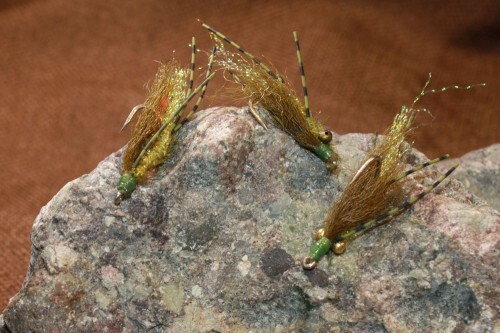 This fly is great in Olive or Amber in sizes 6 or 8. It duplicates a small crab very well and we tend to fish it pretty slow to keep it crawling on the bottom. 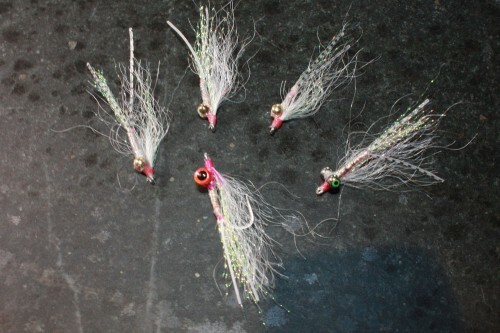 The bonefish take will be a bit more subtle with this slow retrieve but in time you will be able to see the fish “light up” when he eats, even if you didn’t feel a thing. 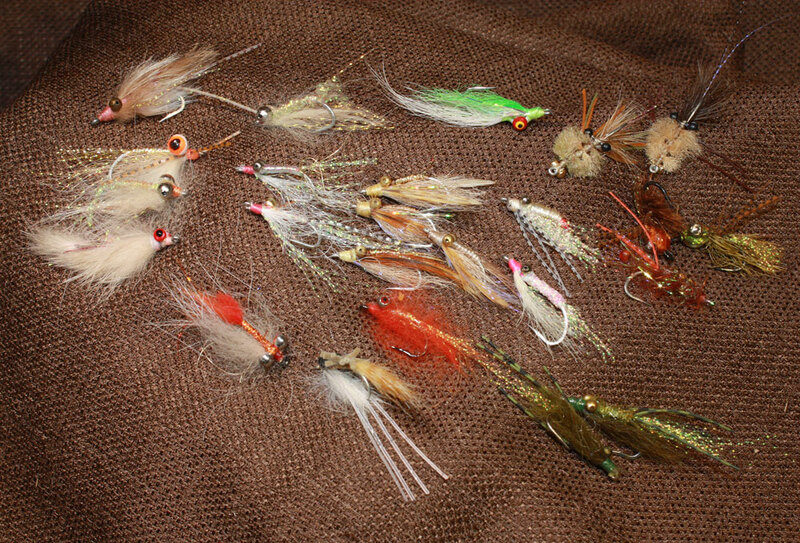 Christmas Island Specials are a little fuller tie than the ones for Christmas Island itself. We also put in a bunch of new furs, flash and UV materials to give it an extra edge. 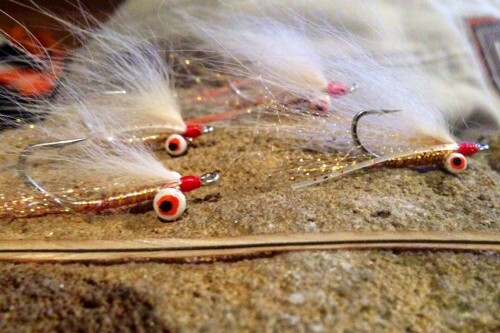 Really it is a variation of a Crazy Charlie with some lead eyes like 50% of all bonefish flies. Tied with a longer tail, it works well for permit as well imitating shrimp to a “T”. Lead eyes of different sizes will help it get to the bottom and up a little silt on that first strip. Once they see that they are fooled. 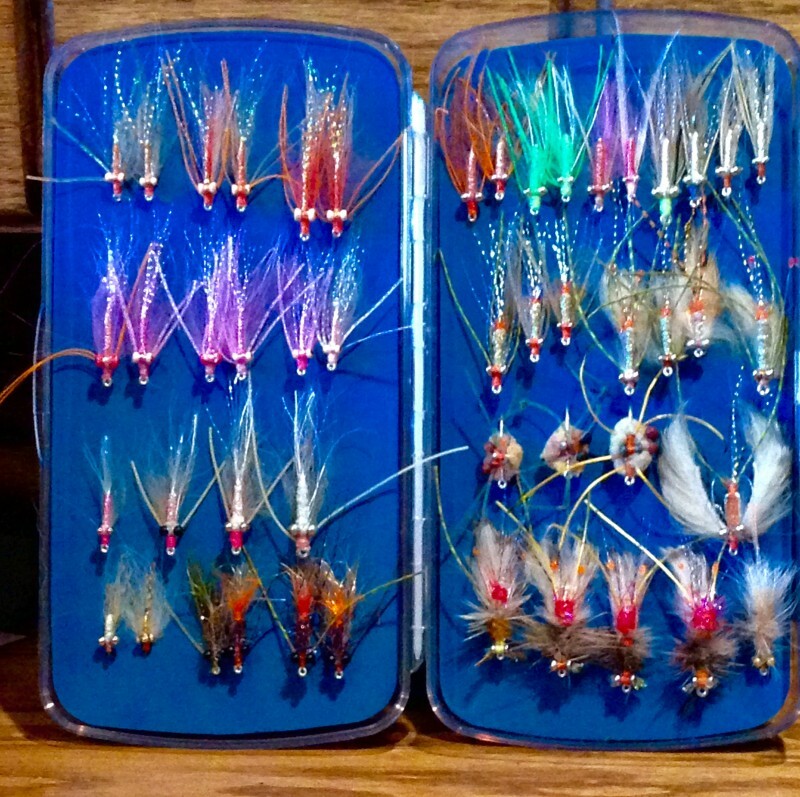 Tied in 6’s and 8’s for bones and 4’s for permit. The Silly Leg Gotcha is a study in less is more. Most of the materials in the fly are UV treated and will stand out greatly in a bonefish’s world. The silly legs let it show a little crab, a little shrimp or what ever the bonefish would like to imagine. Far be it from us to know what goes on n that little brain. Tied in the traditional pearl color in size 6 and 8. 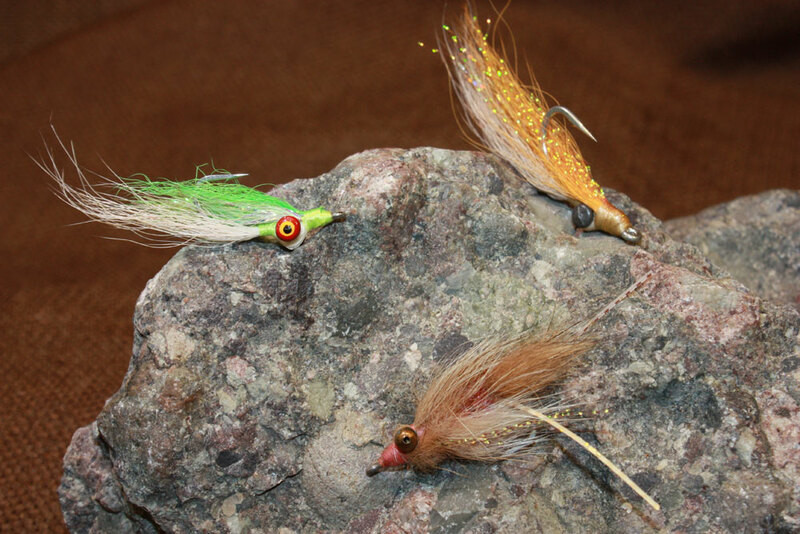 The Clouser Minnow was originated by Bob Clouser, this is one fly that can catch anything… throw it to any fish anywhere in the world and it will imitate something in that fishes environment. 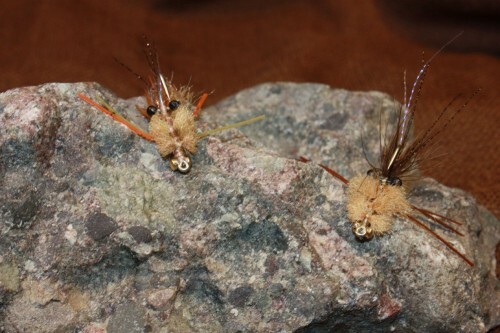 Could be a baitfish, could be a shrimp or in a fuller tie even a crab. Adding some UV fibers makes the fly pop, even in darker color water. 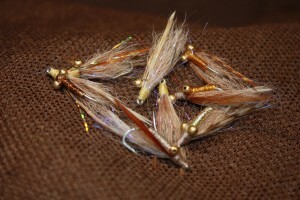 Tied in sizes 4-8 in Tan/White, Olive/White, Chartreuse/White, or Natural/tan along with other subtle shade differences. 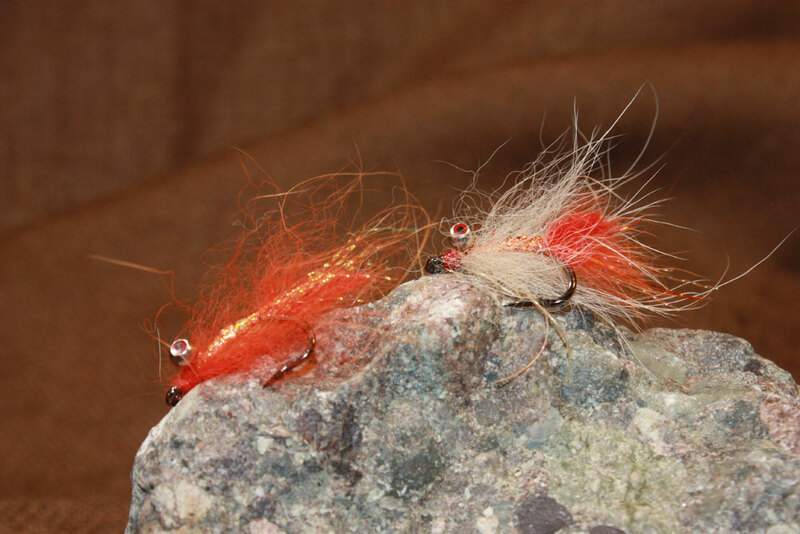 Adding some Yak or Arctic fox fibers to the mix gives it more movement than the original. Check out the “Raton” version in the lower part of the picture to the left.